Space NK is a store I spend a lot of time and money in, it's full of luxurious and exciting beauty products from so many different brands. I thought I would share my favourite beauty (and skincare) finds that have a firm place in my daily routines. The Laura Mercier Translucent Powder is an incredible product, if you want a flawless and perfect looking base, I would highly recommend investing in this. I have repurchased this recently and honestly don't think I want to try out any other powders as I cannot imagine them living up to this amazing product. This can be used for baking your makeup, packing on powder with a sponge and leaving it to 'bake' for 5-10 minutes or simply applied using a powder brush. I carry out both of these methods, depending on how much time I have in the morning! It took a while for me to invest in this as I did feel it was expensive for a powder but you get a lot of product for your money and it does last a decent amount of time. The concealer I have used for years is the Nars Radiant Creamy Concealer, I love how well this covers without being heavy or too thick. It's perfectly hides under eye circles and really red blemishes, making your skin look blemish free! There's a really great shade range with this so if you're really pale or have much darker skin tone, you should be able to find your perfect shade match! 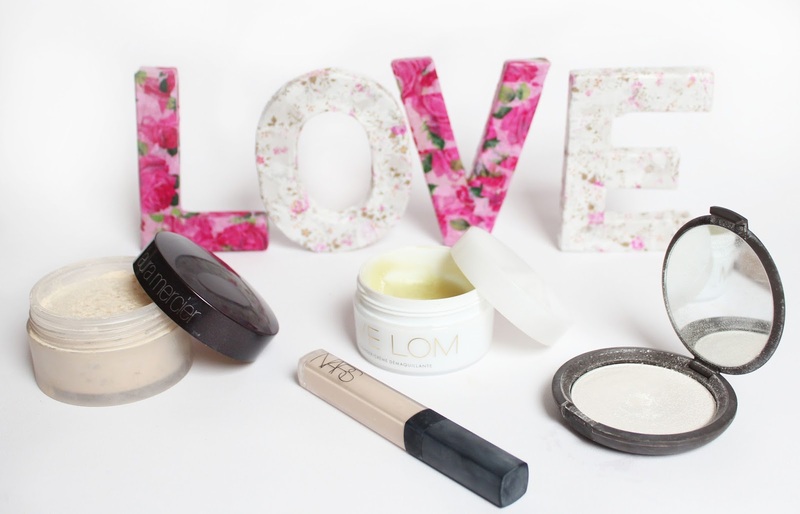 I've spoken about my love for Eve Lom skincare quite a few times on my blog and really enjoy using many of their products. The favourite one I've tried is the cleanser and I've used this religiously for a year. The consistency is quite thick and almost like a balm which means it definitely removes makeup from the face and leaves the skin feeling squeaky clean! My final Space NK favourite is the Becca Powder Highlighter, I have the shade Pearl and I absolutely love it! I am also going to purchase the slightly more golden shade Moonstone as it looks absolutely beautiful and I have adored using the Pearl shade. What are your favourite products from Space NK?